A single and effective storyform ties the episodes of this first season into a meaningful narrative. The Marvelous Mrs. Maisel is a pure joy to watch, from beginning to end. With an endearing performance by its lead and hilarious turns from some of the greats, this latest television series from Amazon captures your attention from the very first episode and leaves you enthralled by the very last. In the final analysis, it is the strength of this show’s narrative structure that claims responsibility for its success. The Dramatica storyform codifies the emotional and logical argument of a narrative’s message. Keep doing your best work, and you can perform at a masterful level is the Narrative Argument put forth by the first season of this show. A Main Character Resolve of Steadfast, a Main Character Growth of Start, a Story Goal of Doing, and a Story Outcome of Success and a Story Judgment of Good put this argument into practice. These aren’t the only Storypoints found within a Dramatica storyform. In fact, 70 more individual dynamic & structural Storypoints contribute to the success of this message by filling in the blanks and cutting off any counter-arguments before they arise. One could easily argue against the reality of the argument—you can sometimes do your best and fail miserably—but they wouldn’t be able to do that within the context of this first season of The Marvelous Mrs. Maisel. This reality is the reason for these Storypoints, the reason for this storyform, and the reason for a stable narrative structure: to support and communicate with confidence a message near and dear to the Author’s artistic intent. In short, the storyform answers the question, What are you trying to say? From our introduction at her wedding reception, Midge lacks a filter (Main Character Concern of Preconscious). Her inappropriate comments and What, me worry? attitude to life panics those in the audience—both those celebrating her marriage to Joel and those sitting captive at the Gaslight (Main Character Focus of Non-accurate and Main Character Issue of Worry). Her near-obsession with making people happy and seeing to it the fulfillment of everyone’s dreams but her own endear her to everyone around her, yet leave her personally spent and unsure of her direction (Main Character Problem of Mind, Main Character Approach of Be-er, and Main Character Problem of Results). While she wavers towards the end—legitimately considering the life of a single mother—Midge’s re-affirms her role as Joel’s wife. Mrs. Maisel’s acceptance of her real stage name cements the steadfastness of her perspective needed to achieve rousing success (Main Character Response of Accurate, Main Character Resolve of Steadfast, and Story Outcome of Success). The inappropriateness of her behavior finds reflection in the Overall Story Throughline with jokes that fall flat and epic bombing by amateurs (Overall Story Focus of Non-accurate and Overall Story Issue of Experience). The classic overbearing Jewish mother and father contribute to this flopping by injecting comedy through overblown reactions to unmet expectations (Overall Story Problem of Expectation). Guardian and manager Susie Myerson (Alex Borstein) does her best to guide Midge towards a more honest performance (Overall Story Direction of Accurate), yet her husband Joel stakes responsibility for her real growth of character. Joel is a husband in the late 1950s, a breadwinner who brings home the bacon, yet longs for the limelight (Influence Character Throughline of Universe). Not content to merely work his way through one promotion after another, Joel leapfrogs success with one stupid move after another (Influence Character Critical Flaw of Wisdom)—with leaving Midge his biggest mistake ever. The talent gap between the two intensifies the conflict within their marriage (Relationship Story Catalyst of Ability). Obvious from her performance at the reception and painfully more-so during the final episode, Midge moves the Audience to riotous tears of laughter (Relationship Story Problem of Effect). This element of Effect drives the conflict in this mid-century marriage: women aren’t supposed to usurp their husbands. In the end, Joel adopts Midge’s penchant for impulsivity by beating down her heckler outside of the Gaslight (Influence Character Resolve of Changed). Distraught and overwhelmed by her performance, he fumbles down the street repeating over and over to himself his realization of his wife’s greatness (Influence Character Solution of Determination). While specific narrative elements like Non-accurate and Expectation shine as bright as Midge herself, the thematic Variations of Unique Abilities, Critical Flaws, Catalysts, and Inhibitors help tie the individual episodes together into a seamless whole. Midge emerges from the safe confines of her Upper East Side apartment without a clue as to how the “real” world of mean works (Main Character Critical Flaw of Knowledge). Joel’s comfortable job and apparent wealth amplifies this flaw with promises of security and comfort (Influence Character Unique Ability of Security) and almost draws her into a changed perspective. 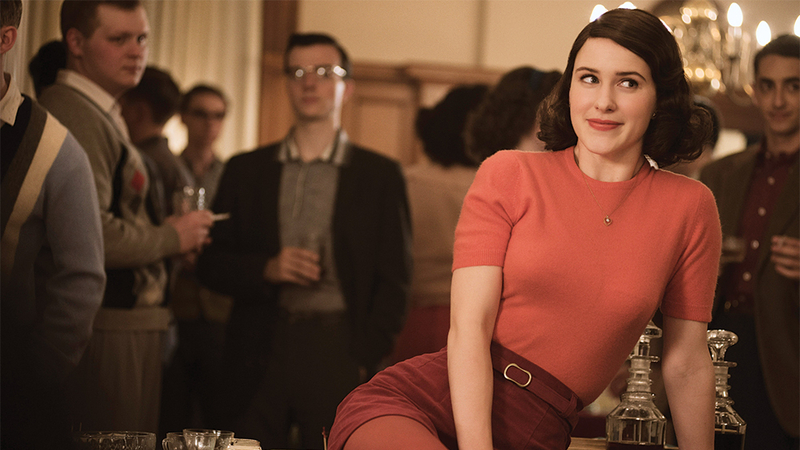 But her supreme confidence in herself is what The Marvelous Mrs. Maisel is all about (Main Character Unique Ability of Confidence). Joel’s devaluing of her contribution, his complete lack of awareness as to how useful she was to him, neuters any real influence or impact he presses upon her (Influence Character Critical Flaw of Value). Everyone wants to write a show that Audience members devour—a show that viewers binge-watch over a weekend. The Marvelous Mrs. Maisel sits as a “prime” example of how best to achieve this result. The clarity and seamless tapestry of the Storypoints within Maisel’s consistent and singular storyform compel the binging process. Every last bit of this show balances out and contributes to the show’s ultimate message: stay the course and you will succeed. The narrative of The Marvelous Mrs. Maisel functions on all cylinders and drives an engine of story conflict reflected throughout an entire season of television—a remarkable feat worthy of recognizing.